Action-adventure buffs will surely exult with delight knowing that their homes and screens will surely be graced with another flick to watch out for. Netflix’s latest original film – “Triple Frontier”— an adrenaline fueled thriller starring Academy Award© winner Ben Affleck, starts streaming on March 13. The film is about a group of former Special Forces operatives (BEN AFFLECK, OSCAR ISAAC, CHARLIE HUNNAM, GARRETT HEDLUND and PEDRO PASCAL) who reunite to plan a heist in a sparsely populated multi-border zone of South America. For the first time in their prestigious careers these unsung heroes undertake a dangerous mission for self instead of country. But when events take an unexpected turn and threaten to spiral out of control, their skills, their loyalties and their morals are pushed to a breaking point in an epic battle for survival. The film is directed by Academy Award® nominee J.C. CHANDOR (Margin Call, All Is Lost, A Most Violent Year) and co-written by Chandor and Academy Award® winner MARK BOAL (“The Hurt Locker”, “Zero Dark Thirty”). 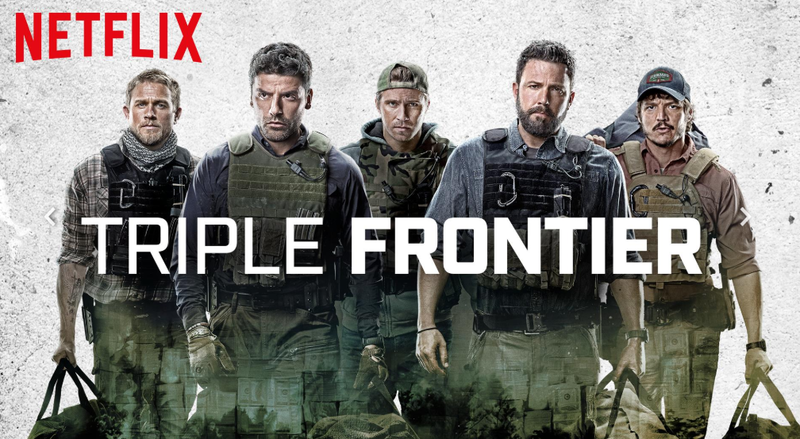 Globe At Home customers can catch “Triple Frontier” starting on March 13, 2019 with a Netflix subscription. To enjoy Netflix, just avail of any Globe At Home Plan and charge Netflix to your account! With Globe at Home, you can enjoy world class entertainment — so make that switch to fast, unlimited internet with Globe At Home and apply for a GoUnli plan to get speeds up to 100Mbps. Enjoy non-stop streaming with the whole family — no data cap starting at just P1,699 per month! Existing Globe At Home customers can also enjoy Netflix by simply charging this to their account and visiting www.globe.com.ph/broadband/add-ons.html. It is now easier than ever to #PlayItRight and stream the best entertainment has to offer via legitimate sources only with Globe At Home. For more about Globe At Home, visit https://www.globe.com.ph/broadband.html or simply follow www.Facebook.com/GlobePH and @EnjoyGlobe on Twitter and Instagram for regular updates. Netflix Debuts New Teaser for K-Variety BUSTED!